Most organisms on Earth use glucose, a photosynthetic product, as energy source. The chloroplast, the home of photosynthesis, is the most representative and characteristic organelle in plants and is enclosed by the outer envelope and inner envelope membranes. The chloroplast biogenesis and unique functions are very closely associated with proteins in the two envelope membranes of the chloroplast. Especially, the chloroplast outer envelope membrane proteins have important roles in signal transduction, protein import, lipid biosynthesis and remodeling, exchange of ions and numerous metabolites, plastid division, movement, and host defense. 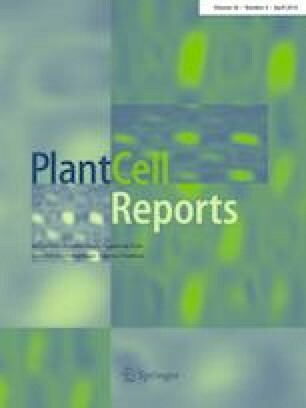 Therefore, biogenesis of these membrane proteins of chloroplast outer envelope membrane is very important for biogenesis of the entire chloroplast proteome as well as plant development. Most proteins among the outer envelope membrane proteins are encoded by the nuclear genome and are post-translationally targeted to the chloroplast outer envelope membrane. In this process, cytoplasmic receptor and import machineries are required for efficient and correct targeting of these membrane proteins. In this review, we have summarized recent advances on the sorting, targeting, and insertion mechanisms of the outer envelope membrane proteins of chloroplasts and also provide future direction of the study on these topics. Jonghak Kim, Yun Jeong Na and Dae Heon Kim contributed equally to this work. This research was supported by Basic Science Research Program through the National Research Foundation of Korea (NRF) funded by the Ministry of Science, ICT & Future Planning (2017R1A4A1015594, 2017R1C1B2009362).